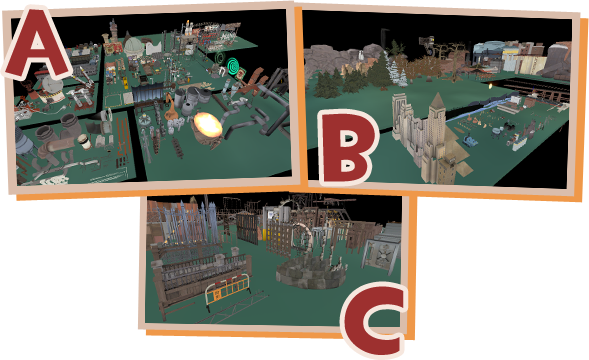 This is a package of numerous resources and improvements for TF2 mapping to assist in easing the tedious and tricky parts of world creation. In the following posts you will find information about what to expect and how to use each specific resource. Please report any issues if you run into them. 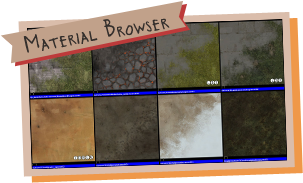 IMPORTANT: The "Material Browser" improvements necessitate overriding some of the default materials. This may cause problems when playing on pure servers! Check this video out first! Thanks to Crash for making this video. It answers a lot of questions about what the pack is and does, and give a good overview of it. They are map files (VMF) like your own map or any other. Open one in Hammer at the same time as your map and switch back and forth as needed. By default, if you don't change the path offered during installation they will be in steamapps\common\Team Fortress 2\sourcesdk_content\tf\mapsrc. I don't see the props. The props are hidden in visgroups! This will turn on the visgroup panel. Go to the User tab and you can show/hide different prop groups. The prop library has yellow boxes. / I can't see very far. Two pages with extra info related to the prop library and blend thumbnails. Never again will you have to suffer searching through the model browser for something you need. It is now all laid out before you in an easily browsed environment categorized by the type of prop you are in need of. 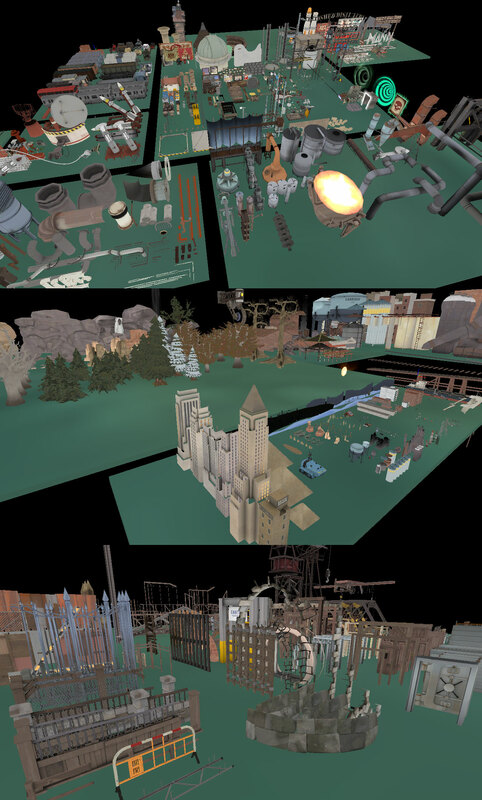 The library contains over 1900 props in 3 parts separated into 20 categories. Do not load more than one library at a time! 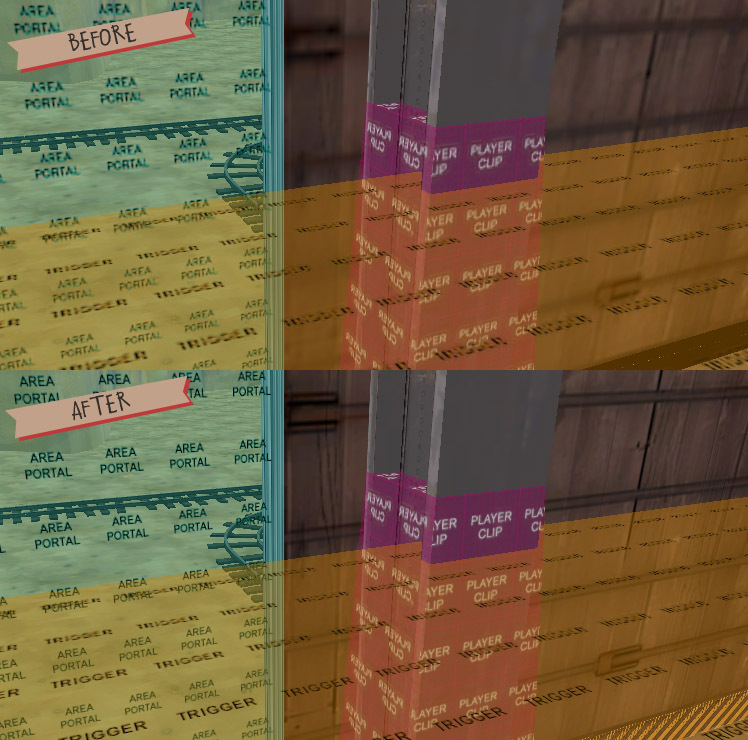 It was split into 3 parts because Hammer cannot load that many props at once and will crash. The scope of this library is limited to models used for detailing a map. You will not find player models, animated explosion debris, etc. A handful of props are included in two categories, in such cases the categories are situated adjacently, so that all relevant props are in the area when enabled. No more confusion over setting up rounds. No more timer headaches. No more payload crashing. All your woes from setting up the functional entity system for your map are gone forever! You can now have all nine standard gametypes at your fingertips with built in helpful comments to assist in hooking them up to your map! 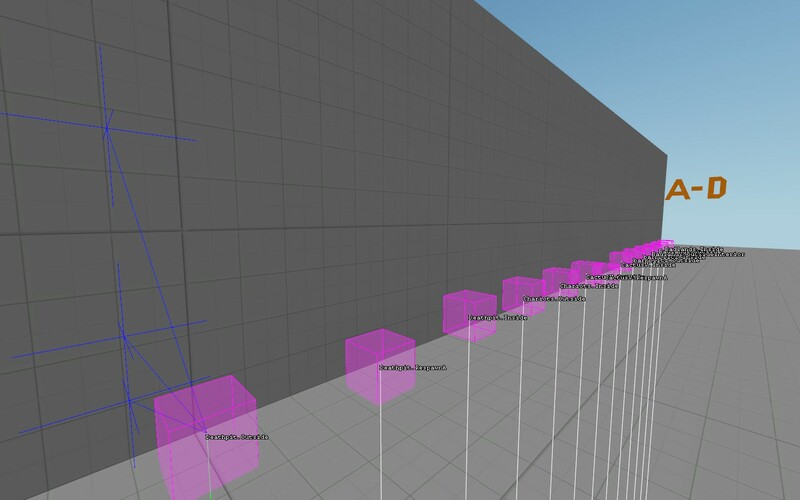 Each system's entities are in a visgroup for easy selection to copy them into your own map. There is also a visgroup with walls and sky containing each area so you can turn them on, turn off all but one system, compile and see it in action. Single payload setups include a basic finale: sounds and a mushroom cloud. Multi Stage Payload includes drop-down stage transitions ala Goldrush. If you are unfamiliar with how trigger_capture_area times work, you may want to check my thread on the subject. What is NOT included? Anything that isn't directly linked to the function of the system. This means things like, basic doors, resupply cabinets, etc. I have included filters that are needed both for entities that will change teams and static team entities. Tired of clicking around faceless gray blocks to find a specific one? Upset at your nobuilds not behaving? Obnoxiously large boxes getting in the way of small scale work? No more! With this improved, modified, and all around super-awesome supplementary FGD all these woes will be gone forever! 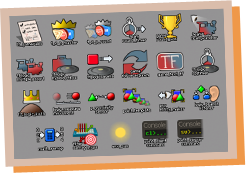 You get access to entities left out by default, improvements in usability to more other entities than I care to count and twenty-three shiny new icons for entities that were previously unrecognizable! Another reducer of tedium and saver of time! 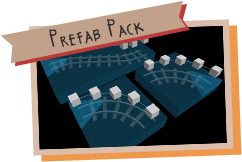 With this Prefab Pack you now have small pre-assembled entity things ready to drop into your map and run! • 23 soundscapes with positions pre-made and listing sounds. 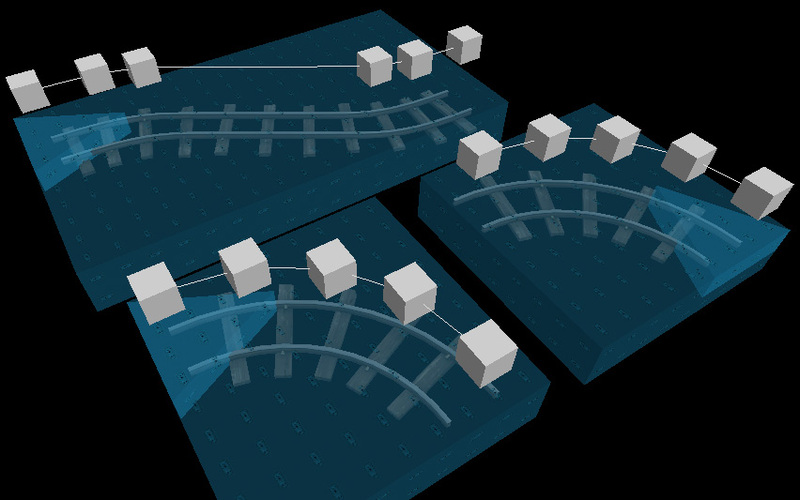 • 16 track curves with associated path_tracks in 2 team flavors. • 6 standard doors in 3 team filter flavors. • 3 sizes of setup gates pre-made for up to 3 stages. • Resupply lockers in 3 team filter flavors. • A pair of generic team filter entities. • Moving sawblade with all effects. For instructions on how to place prefabs see this article on the VDC. • The team-only doors are set to use filters named filter_red and filter_blu (no e). Make sure yours are named this or use the filter pair prefab. • Not-so-obvious sized doors have the recommended hole-in-the-wall size listed in the entity comments. • The skip brushes are to keep the prefab aligned to the grid better, feel free to delete them after you have the track placed (but you don't need to! skip faces are discarded during compile). • The skip triangle indicates the direction of path flow so you don't need to examine the path_tracks. • The non-sticking sticky bombs in Sawmill are due to a hard-coded feature based on entity names. I have included the two names that support this as individual prefabs. 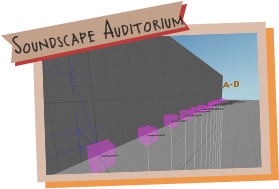 Soundscape Library which you can load up in TF2 to preview all available soundscapes, then you know which prefabbed soundscape you want to use! Upon loading the map it will self-enable the soundscape debug mode to let you see the locations and names of the soundscapes. All you need to do is walk around to each one you wish to hear to preview it. The green line indicates the currently active one. For information on how to properly use a soundscape see Ravidge's great tutorial on this site. A handful of improvements to what you see and how you search the material browser. They should yet again make your life easier. 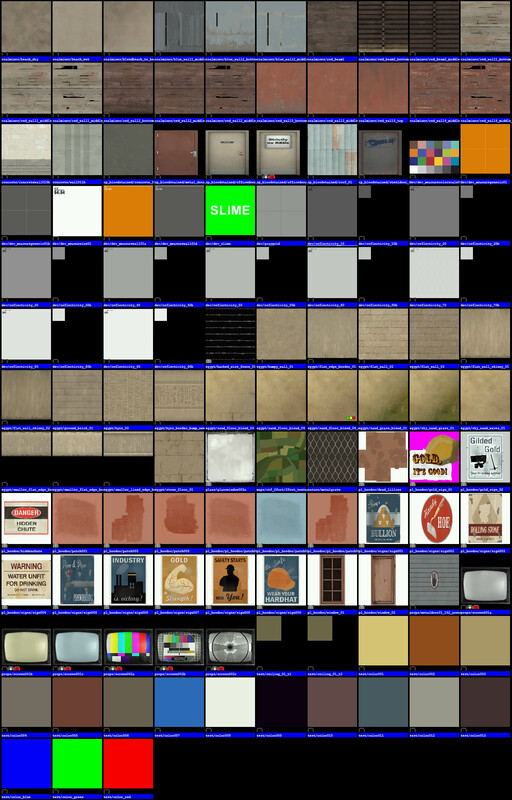 Improved material browser thumbnails for blend materials. 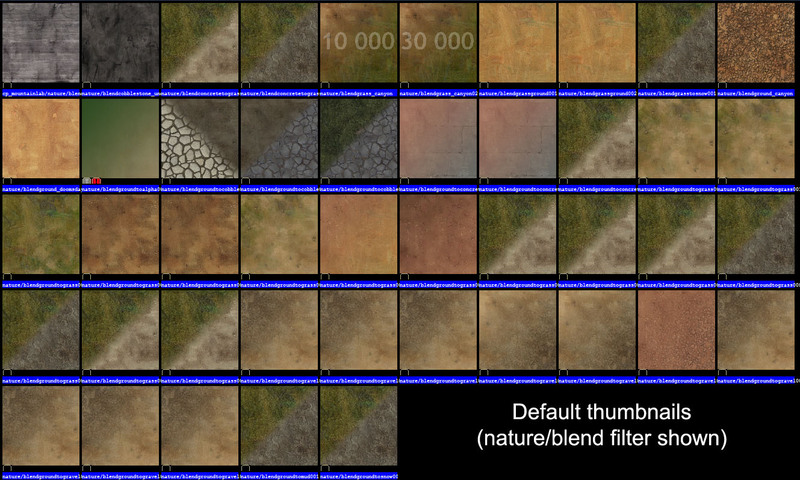 Now not only do you see what two textures they actually blend, but the blend modulation (makes a pattern rather than smooth gradient) is also accurately portrayed. 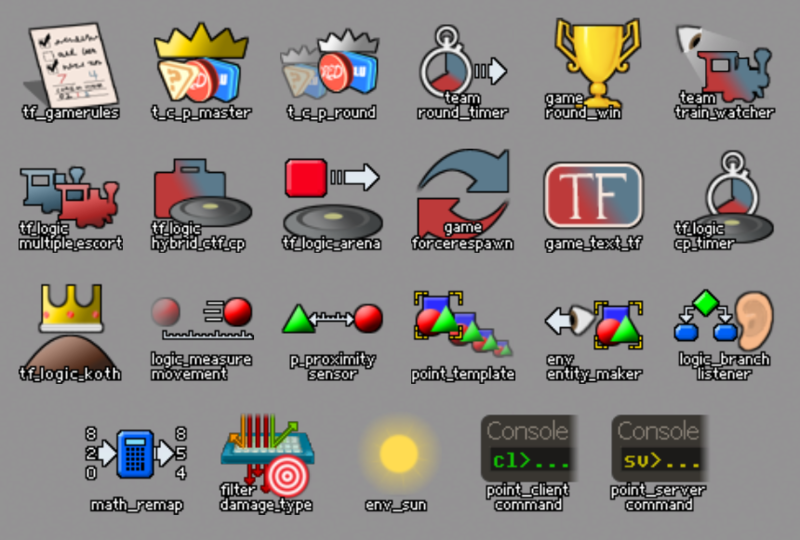 There are also letter codes on the materials to denote what detail sprites settings will work with them. 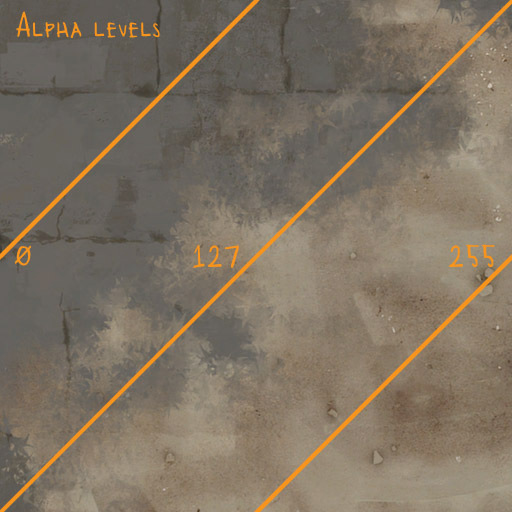 All thumbnails reflect the alpha settings shown here. Evenly changing across the middle with each corner solid. Here are comparison images of some of the materials, default and mine, to see just how improved they are. 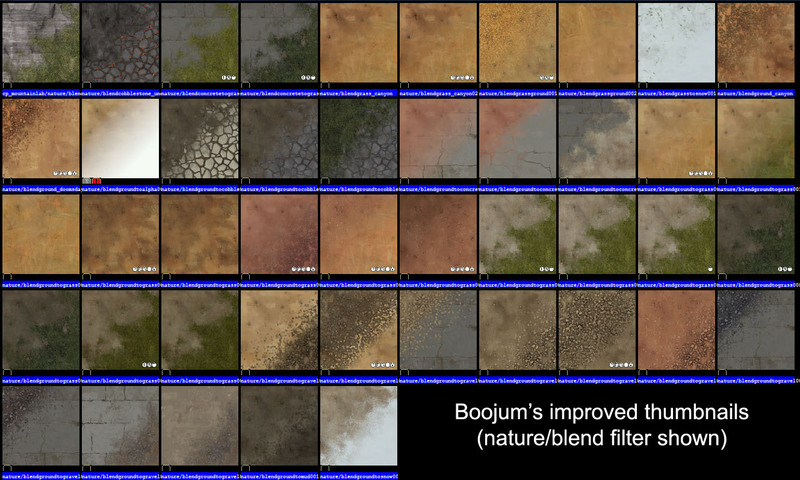 Water now has a material browser thumbnail representative of the fog color and depth, as well as noting if it is cheap or expensive water. TF keyword has also been removed from all the supporting materials to clean up the browser. 139+ materials that were lacking the "tf" keyword now have it! 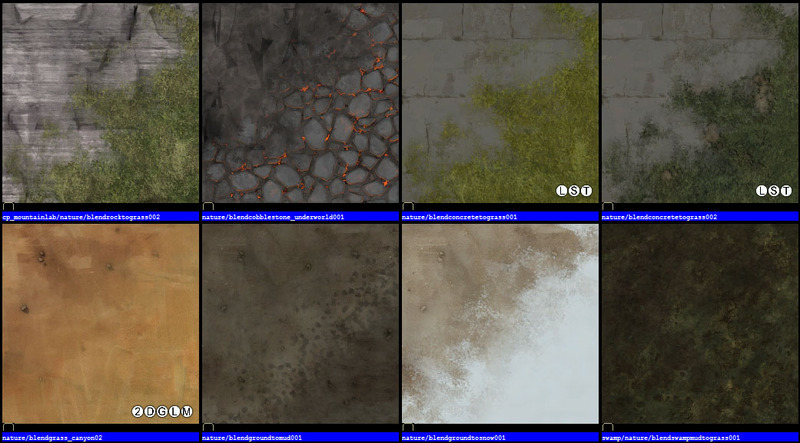 All tool textures relevant to TF2 mapping have it, along with all seen here that belong to TF2 but never had it. If you find any materials missing the keyword or something you think should have it, let me know! Some users will have Hammer's video settings defaulted to a very low level. 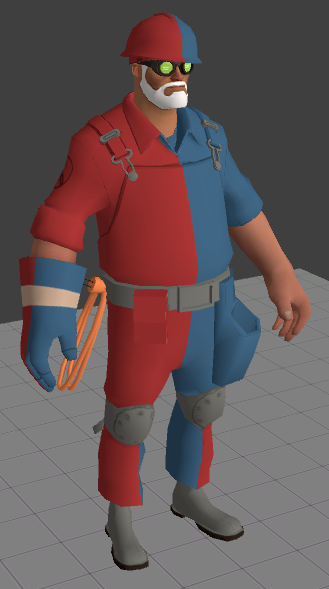 The included config will override these settings and make all textures in the 3D view crisper and cleaner. If you have a really old computer you may not want to use this, as it does increase system resource usage. He is trying to get 1000 thanks! Stop him! No, thanks a lot man! 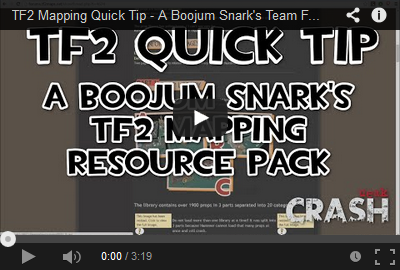 I think the TF2 mapping community in general would have been better served with a pack like yours than releasing the Valve maps. Awesome work again Booj. The first time trying to download this awesomeness, Firefox crashed due to the exploding awesomeness flying out of the screen. Then my computer blue-screened and I had to restart. 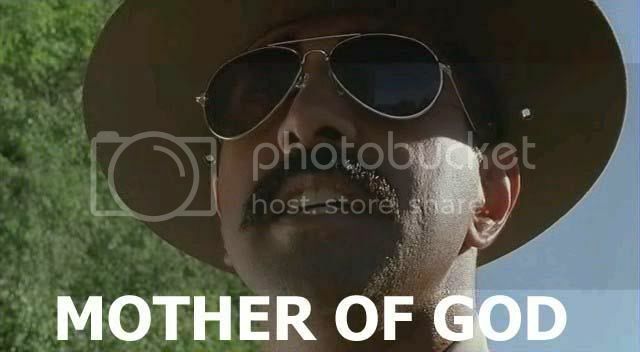 I booted back up and downloaded it and I was liek, OMG DIS IS TEH AWESOMENESH. And then I fainted. You are more comprehensive than Valve! Achievement earned, +1M exp. points! I agree with both of these posts. How about including Acegikmos enviroment gallery in this pack too? This is just great. The installer is incredibly useful. Thanks for the PLR fix. Holy crap, my brain just exploded from the awesomeness. Many thanks. I might be a total noob for asking this, but how do I add it to hammer? I'm not quit sure what you're asking. Simply run the installer and everything should be dropped in. The FGD will be auto-set and you should find the two libraries in the folder with all your other VMF files, just open them up and then you can copy/paste.